How to Address the Problem of “Managing Through"
“Managing through” is the administrative practice of passing difficult decisions on to a higher level of the organization in order to avoid the consequences of having made an unpopular choice. For instance, a department chair may receive a request from a faculty member that the institutional cap on travel funding be waived in his or her case. If the chair believes that this exemption is unnecessary or inappropriate but that refusing it would cause negative repercussions, the chair might practice managing through by approving the request and hoping that it will be turned down by the dean or provost. The chair may be afraid of receiving a poor evaluation from the faculty member that year or may simply wish to avoid the unpleasantness of multiple appeals and claims that “you’re just not our advocate.” The dean is then placed in the difficult position of either overturning the chair’s decision or managing through again by passing the request on to the provost or president. In a truly egregious instance of this practice, the chair may even call the dean to say something like, “I just wanted you to know that I’ve sent on that travel request we spoke about the other day. I’m not going to be offended at all if you deny it. In fact, that’s what I’m hoping you’ll do.” The result is that the administration ends up playing a form of “good cop/bad cop” rather than deciding each issue on its own merits. The problem with managing through is that it is simply poor administration. It consolidates all enforcement of rules, budgetary restraint, and oversight of policies at one level of the institution. Someone (usually either a dean, provost, or president) is forced to serve repeatedly as the “bad guy” and thus may be seen as having refused out of sheer whim or malice requests that were approved at several lower levels of administration. At its worst, managing through can cause members of the faculty and staff to develop a false sense of entitlement, a belief that everything they want or “need” is justifiable, while it is only the “bean counters” in the upper administration who stand in the way of progress. If you encounter managing through at your own institution, what can you do to reverse this trend? Before removing the mote from another’s eye, be sure that there is no beam in your own. You can’t solve the problem of managing through if this is a practice you’re engaging in yourself. Administrators lead by example even more often than they often realize. If the people whose decisions you receive observe you avoiding a tough call by passing it on to your supervisor, they are likely to assume that you condone, possibly even encourage, this practice. Be sure, therefore, that you set an example of good administrative practice in your area, and be sure to discuss with others the ways in which you make your decisions. Make it clear that you expect a review of all requests on their merits, not on the ease of making the decision, and that all appeals should be given careful consideration before they are passed to your level. One of the major reasons managing through is rampant at many institutions is that there are relatively few consequences for engaging in this practice. 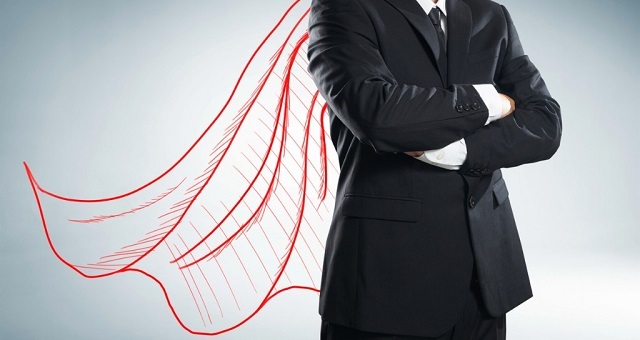 A lower-level administrator gets to look like a hero by supporting an individual’s request or proposal; only the upper-level administrator who denies the request is forced to endure the wrath of the person who is disappointed. The more centralized an institution is (particularly in budgetary matters), the more widespread managing through will be: the level where the decision is made is far different from the level where the consequences are felt, so why not simply “pass the buck” up the chain of command? One workable solution to this problem is to decentralize as much authority as possible while imposing what we might call the “Spider-Man Principle”: With great power comes great responsibility. In other words, suppose you’re the dean who has just received the request for an exemption to the institutional cap on travel funding that was mentioned earlier. When you receive the chair’s approval of the request, you have several options. You can approve the request because you believe that it’s justified. You can deny the request. You can practice managing through, approve it even though you don’t believe the request is appropriate, and pass it to the provost. Or you can reunite responsibility with authority. If you choose the last option, you would tell the chair, “I’d like you to review this exemption to the travel policy that you just submitted to me. If you are strongly in favor of it, I’ll approve it — but you’ll need to fund this expenditure yourself. So, take another look at it and reconsider how it relates to the rest of your priorities. You may want to keep in mind, too, how you’ll respond to all the other requests that you’re likely to receive once this precedent is set.” By dealing with the matter in this way, therefore, you demonstrate that decisions carry serious implications and you assist the chair in becoming a more effective mediator as a result. Discuss the issue of managing through candidly within your unit. Another way of addressing the problems caused by managing through is not allowing this practice to remain invisible. Simply by giving this procedure a name, indicating that you recognize this tendency when you see it, discussing it with those who report to you, and outlining the problems that it causes, you are going a long way toward eliminating its reoccurrence. This discussion gives you an opportunity to clarify your position that you expect decisions to be made for the right reasons, not on the basis of political convenience. “There will always be a need,” you might say, “for administrators to grant exceptions or exemptions to various policies. But these exceptions should be granted on the basis of the strategic planning goals that we’ve all discussed, sound fiscal management, and our own version of Immanuel Kant’s categorical imperative: make every decision as though you were establishing a universal law.” In other words, what would be the consequences if everyone were required to abide by the decision you made or the exception you granted? In matters of college administration, of course, this principle is often not merely a matter of philosophical speculation. Since subsequent administrative decisions are often made on the basis of precedent, each exception granted at an institution may well become the basis for its “universal” law. Finally, in the course of this discussion, assure the people who report to you that, as you review their evaluations, you will be able to tell the difference between genuinely poor management and the sort of grumbling that results after a leader has made a difficult but necessary decision. In fact, you might point out that you consider the willingness to make those decisions to be an indication of effective management. Some administrators engage in managing through because they would rather be liked than deal with consequences they know will be unpopular. When you to adhere to both the “Spider-Man Principle” and the “categorical imperative,” you probably won’t eliminate all cases of poor decision-making overnight. You will, however, have taken the first steps toward a culture of greater responsibility in management for the years to come. Reprinted from “‘Spider-Man Principle’ and the ‘Categorical Imperative’: How to Address the Problem of ‘Managing Through'” in Academic Leader 24.4(2008)2,3 © Magna Publications. All rights reserved.